Future Shop was an electronics store chain started by Iranian immigrant Hassan Khosrowshahi in 1982. Within a decade, Future Shop became Canada’s largest retailer of electronics and computers. In 2001, Hassan sold the big-box retailer to U.S. retailer Best Buy for $580 million. 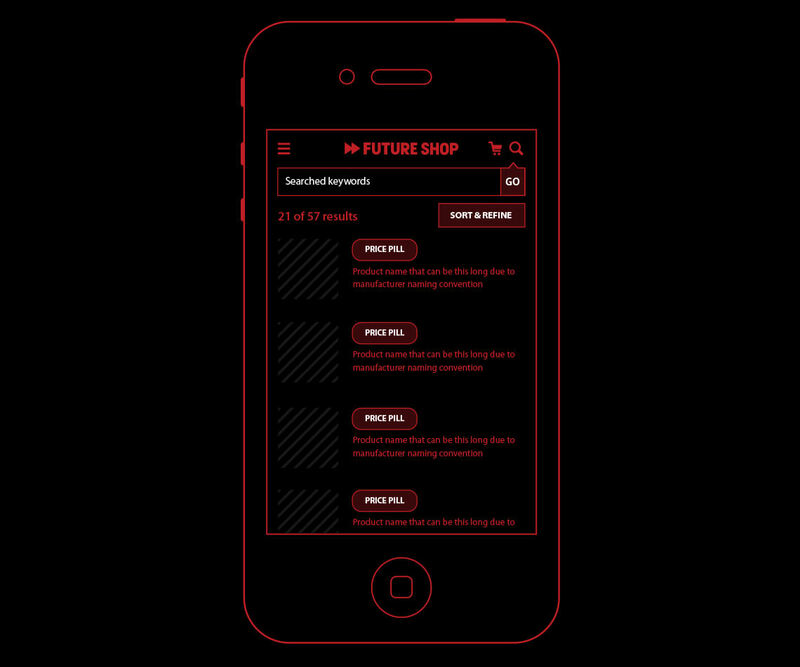 At its peak, Futureshop had 139 locations across Canada. 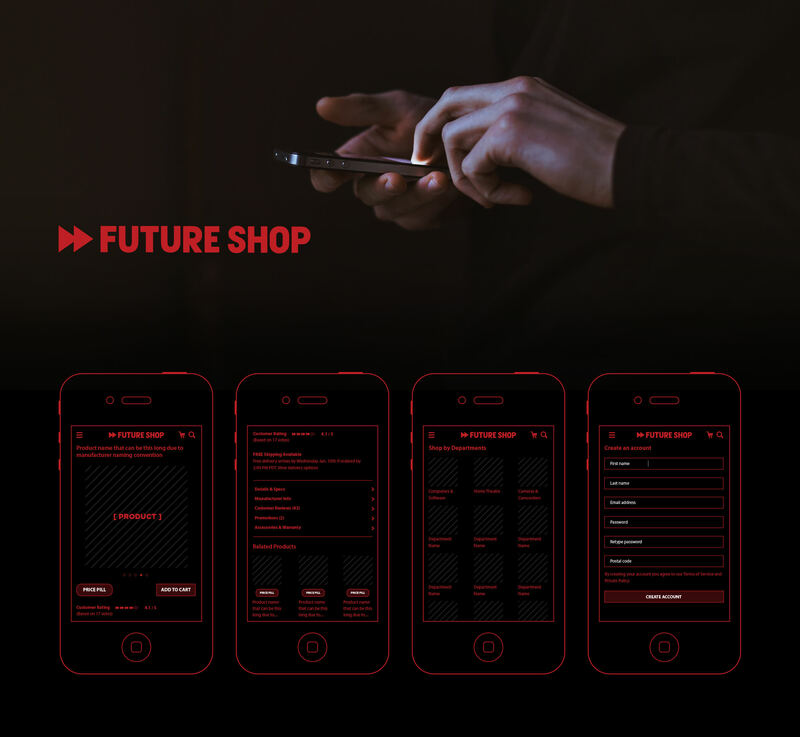 Future Shop commissioned me to come in and work on their native IOS app. The original app was released in the fall of 2010. 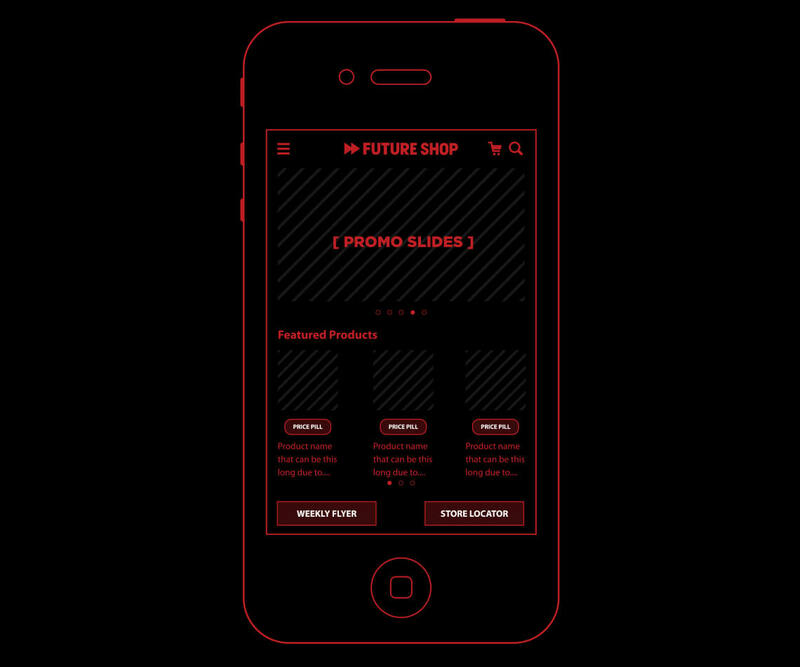 After analysing data and collecting feedback from users in the previous year, Future Shop had to revise parts of the app. There were some workflows that were not performing well or causing too much friction for the user. The visual design of the app would remain the same, because native and desktop applications needed to remain consistent to one another. After my debriefs with senior developers, web manager and marketing lead, I was able to start analyzing the problems with the current app. The biggest hurdle to overcome was was the ability to search and browse a catalogue that had 100,000 products, while also being able to easily buy that product without any friction. At the time, products were popping up in-line which created odd double scrolling panels. There was also an overload of information at many of the key pages; a confused buyer never buys. Finally, the app lacked the little hand polished touches (user feedback on calls to action, misplaced tutorial callouts, slow loading pageviews, incorrect transitions with back button, and simple onboarding).